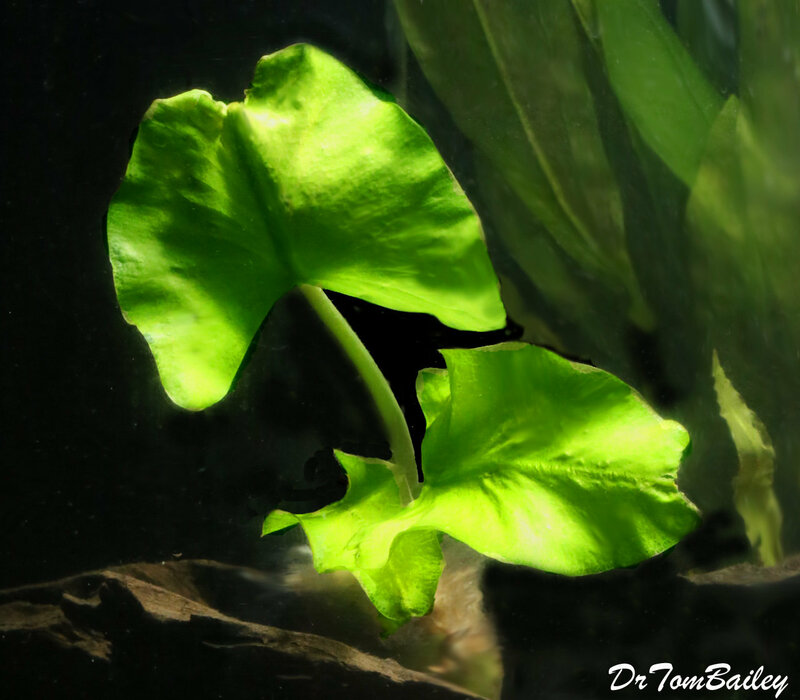 Comments: This is a premium quality Spatterdock Live Plant Bulb/Tuber, that has sprouted or will soon sprout and grow into a plant in your aquarium. Origin: Originally this plant species is native to the Eastern United States and Florida. Maximum Size: Usually grows 6 overlapping round leaves that are 3" to 6" in diameter. Temperature: This plant likes temperatures that range from about 65 to 80+ degrees F.
Aquarium Size: This plant can grow to be large and may eventually need a large aquarium. Decor: we've found that it's best bury these in gravel. So it can be easily moved around. Names: The scientific name for this plant is Nuphar lutea.